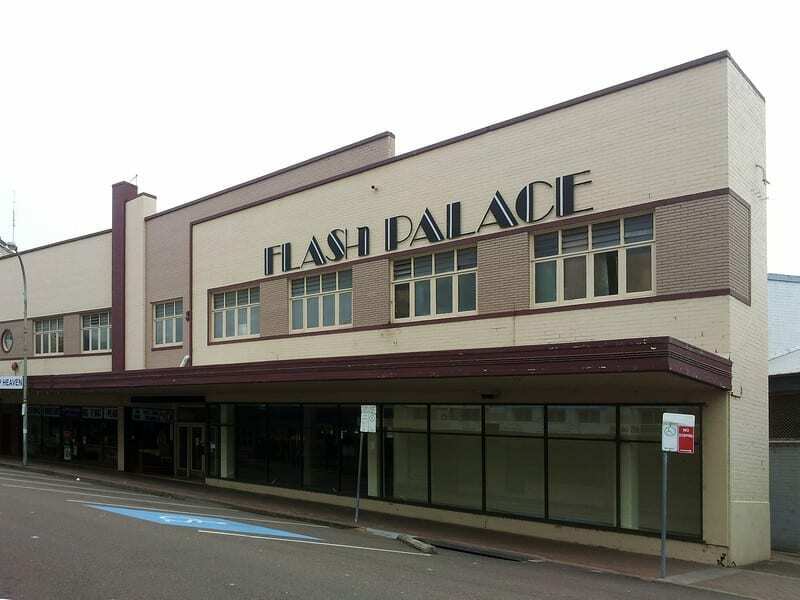 Nulex Construction is pleased to announce that we have been appointed to give a new lease on life to the derelict Flash Palace site in Maitland, undertaking a combination of multi-unit residential apartments and a commercial construction shop front as part of the project. Working in collaboration with the developers and Grand Designs Property we will be working hard to ensure we are finished by Christmas. 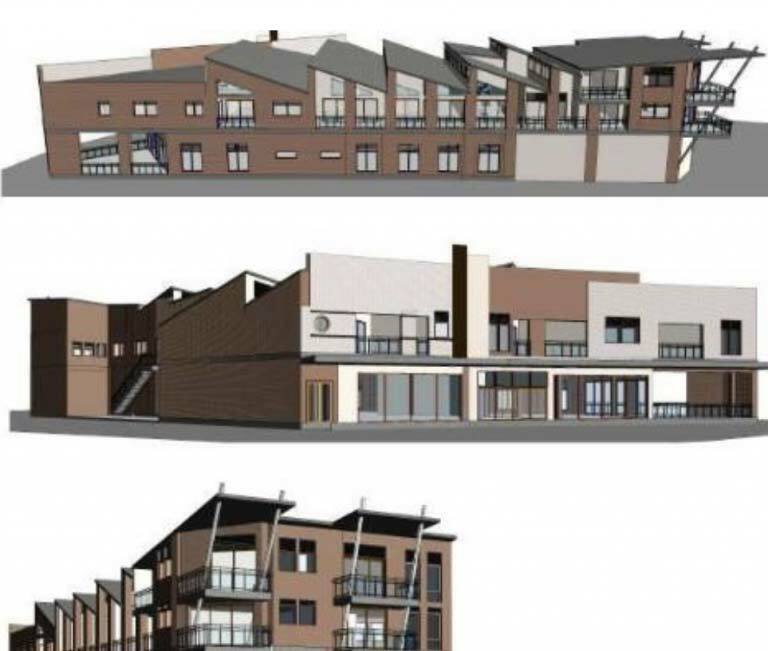 Nulex Director, Alex Mitchell, said there will be a range of different types of apartments built, to suit a wide variety of needs. 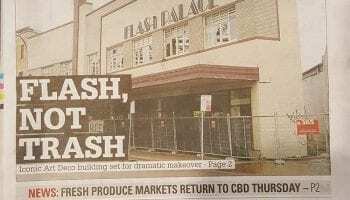 “There will be both one and two bedroom apartments, in a range of designs – including multi-level concepts and some with mezzanine floors,” Alex said. You can read more on the project here. 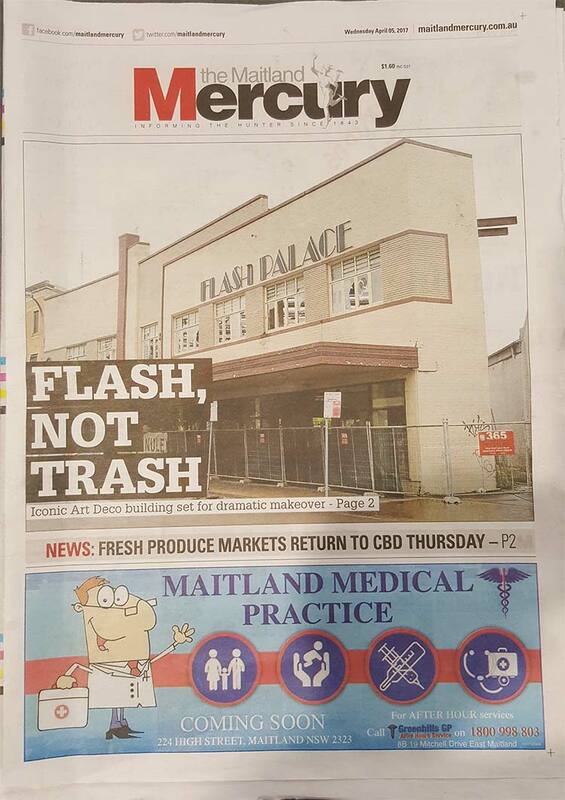 It made the front cover of the Maitland Mercury on Wednesday, 5 April 2017! 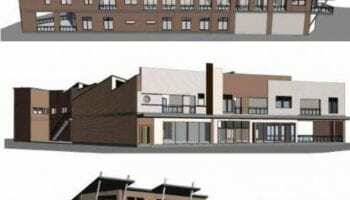 If you would like to know more about the commercial construction projects Nulex Construction have completed or have a project you would like quoted, please contact us.